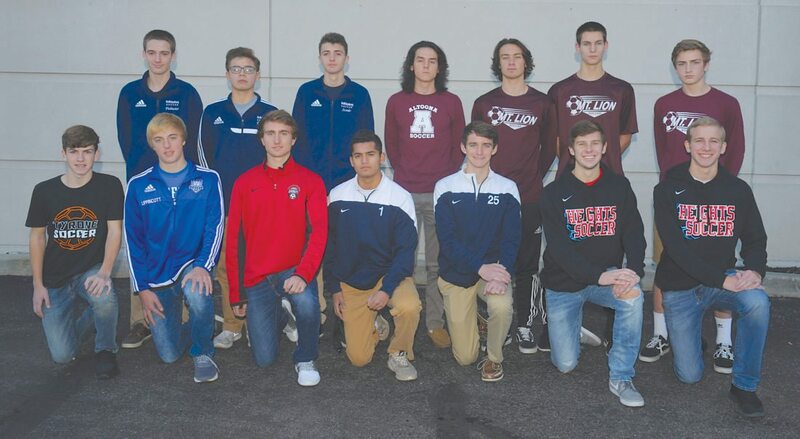 Mirror photo by Gary M. Baranec Altoona Mirror 2017 boys soccer first-team all-stars include (from left): First row—Tyrone’s Corey Johnston, Bedford’s Wes Lippincott, Everett’s Nathaniel Maxwell, Bishop Carroll’s Selvin Maykovich and Alex Karlheim, Cambria Heights’ Adam Bobak and Alex Diamond. Second row—Hollidaysburg’s Connor Pielmeier, Dominic Daily and Lucas Scordo, Altoona’s Jarod Marasco, Alex Berardinelli, Michael Bartley and Brady Freiwald. 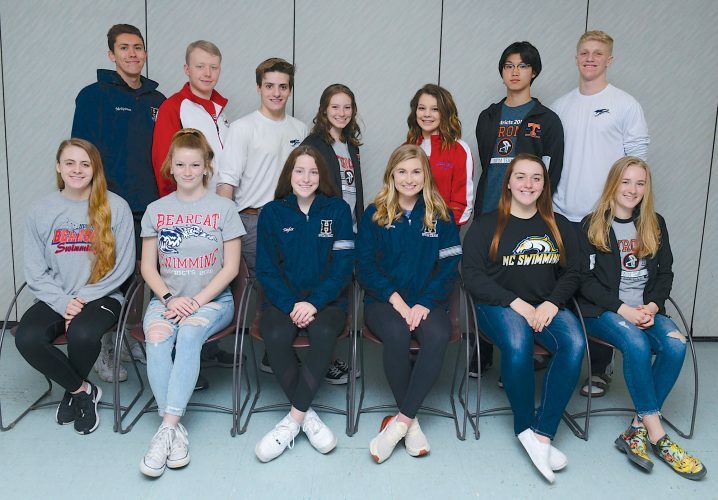 Absent for photo were Everett’s Bailey Foor and Huntingdon’s Soren Borgardt.